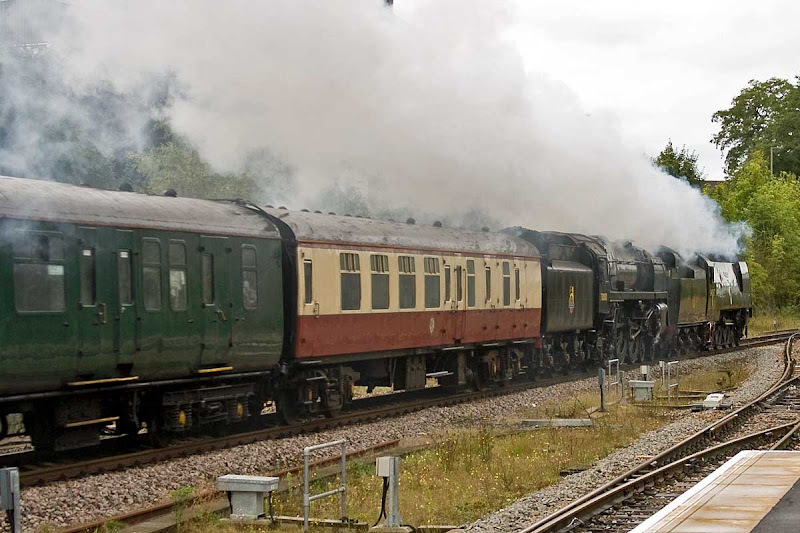 While booked for 30777 to Westbury and then 34067 + 70000 through Castle Cary to Exeter, 30777 is reported to have an ashpan spark arrestor defect which caused fires alongside ECML on Friday. The planned double headed working of 34067 + 70000 was extended to start from Waterloo and rerouted via Bristol to avoid turning at Westbury. 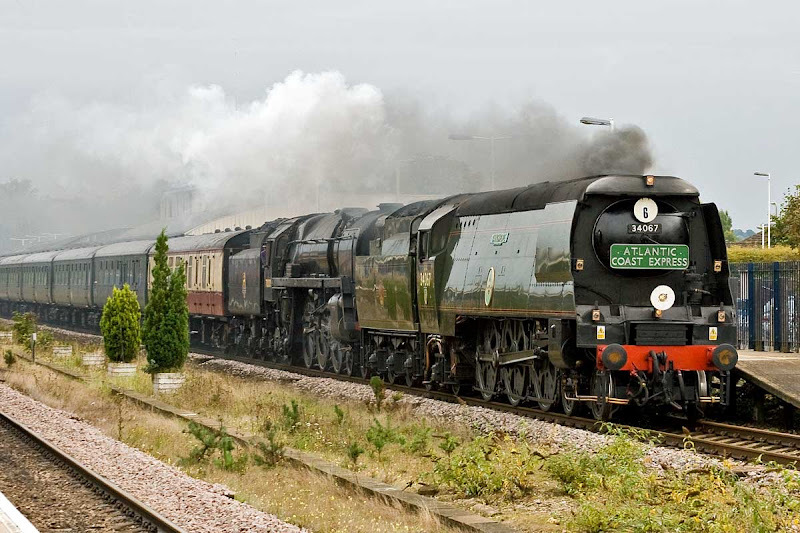 34067 Tangmere and 70000 work the Atlantic Coast Express through Andover, passing on time. UPDATE: 34067 has been failed at Taunton with a 'cylinder problem' and will be replaced by 47500 to assist across the Devon Banks.